This game has every chance to become your favorite one! You might want to ask ‘Why’? It can light up any gathering, family dinner or game night with friends. So, new edition of the Taboo board game by ‘Hasbro’ brand is here for you! Think, you are not a game person, and board games might be dull? Leave your worries, because Taboo is able to involve everyone in fun interaction. All ages are appropriate. Kids, teens, adults and grandparents will have hilarious playtime! Give the game as a cute gift for your families, friends or someone you’d like to please. This gift turns out to bring precious moments to share with your close ones. 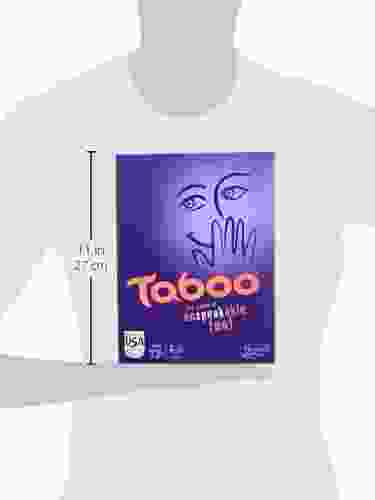 Taboo comprises 260 double-sided cards. Each side contains 2 keywords. In total, you get 1040 words to play. 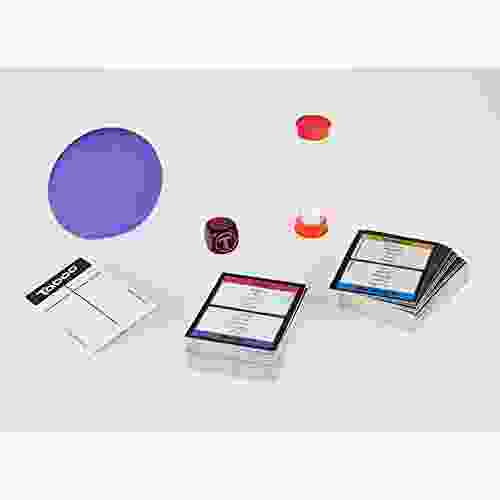 Note that the game works best for 4 players and more, 2 teams required. However, it is possible to play with three or two players. Kids of 11 years old and up are supposed to find the game suitable and interesting for them. What is this game in concept? The rules are clear and super easy to learn. A player has to describe a keyword from the card to their teammates. The trick is to choose the explanations carefully without mentioning a list of certain Taboo words. No noises and actions allowed. Get creative in your clues! For example, you get the word ‘Pinball’. Taboo words for you are game, tilt, arcade, roll, Flippersor. Since obvious explanations forbidden, a player speaks in a strange way to make the teammates guess a keyword. Laughs to tears guaranteed! If a player accidentally uses Taboo word, another player makes sound with a squeeze buzzer (included in the game). In this case, you lose the round. The opposing team gets the point. One more thing, quick-thinking works for you because time is short (the timer included). Eventually, keeping score is not the point. Have fun and enjoy your time together while playing!